November 5, 2015 - Like us now! Jumping into a 54 hours frenzy to create a successful business model. The investment fee for Startup Weekend Karachi is divided into two categories. Participants looking forward to pitch their ideas and follow through the course of three days have to pay Rs. 1500. The finalists will have the opportunity to participate in the Global Startup Battle that is attracting startups from 100 cities around the globe. Those looking forward to the networking evening only have to pay Rs. 750. You can register here and their team will get back to you by the second week of November. 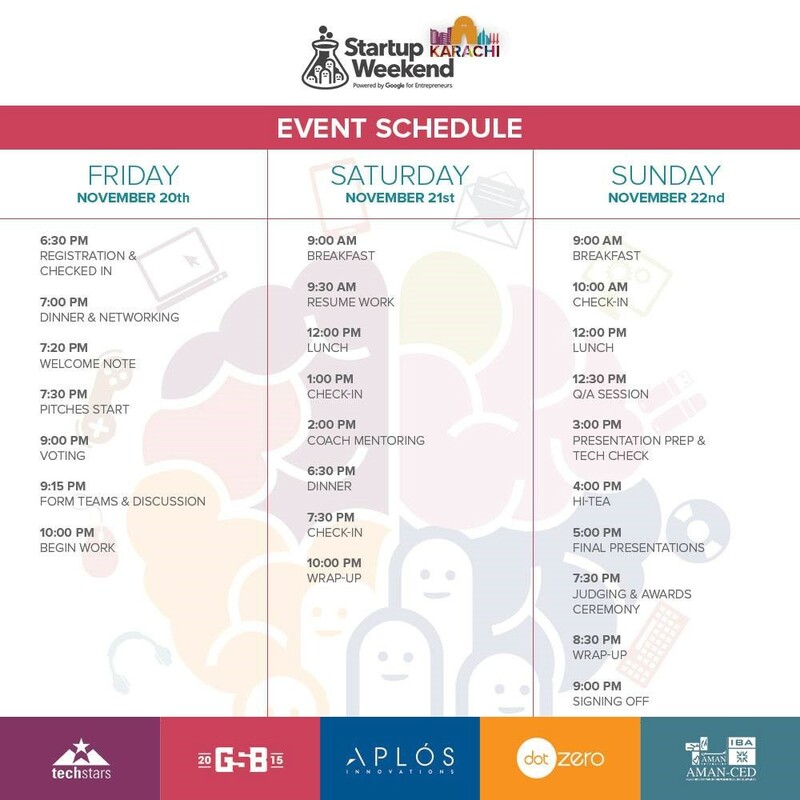 Startup Weekend is a global grass root movement of active and empowered entrepreneurs who are learning the basics of founding startups and launching successful ventures. It is the largest community of passionate entrepreneurs with over 1800 past events in 120 countries around the world.The non-profit organization is headquartered in Seattle, Washington but Startup Weekend organizers and facilitators can be found in over 200 cities around the world. From Mongolia to South Africa to London to Brazil, people around the globe come together for weekend long workshops to pitch ideas, form teams, and start companies.